What Is Preventative Maintenance, and Why Is It Important? When you hear us talking about the importance of preventative maintenance, we're talking about regular services for your vehicle that include oil changes, tire rotations, and other engine fluid changes. For vehicles as well as for people, the old saying holds true that an ounce of prevention is worth a pound of cure. Preventative maintenance can help prevent huge and expensive problems down the road. What Is Important to Know About Preventative Maintenance? When treated properly with preventative maintenance, your Subaru will reward you with years of service: 97% of all Subaru models sold within the past ten years are still on the road today. 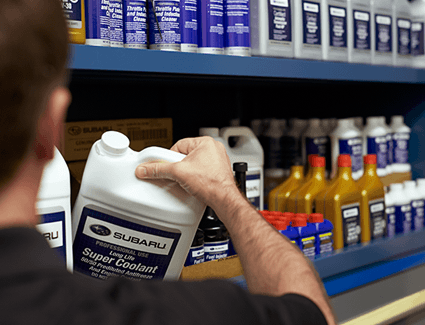 Wondering how often your Subaru will need maintenance? You're in luck--the manual that comes with your vehicle will have a schedule that serves as an excellent general guideline for when certain services should be performed. However, different driving styles and conditions can alter this, so it's always best to come to an authorized Subaru dealership to find the maintenance schedule that works best for you.